Tables d’exception is a unique event company dedicated to recreating the French « art de recevoir » as it was in the 18th Century when the European aristocracy entertained in grand style. The brainchild of the renowned French interior designer Hubert de Vinols, known for his sumptuous, artistic tables settings, Tables d’exception creates the ultimate luncheon and dinner parties, working with top chefs and highly trained butlers and staff. The mission of the company is to produce an unforgettable experience, one which transports guests and hosts alike back in time, offering a glimpse of an arguably more glamourous era which celebrated the magic of opulence combined with refined taste. 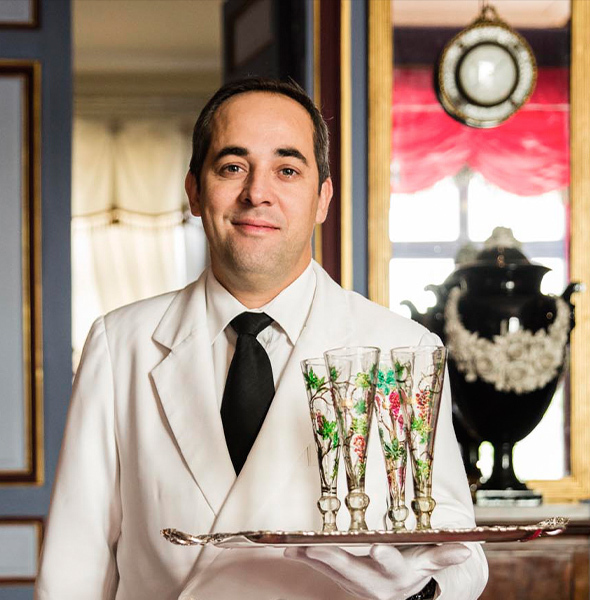 Tables d’exception take great pride using butlers and waiting staff who know how to serve properly, ‘a la francaise’. 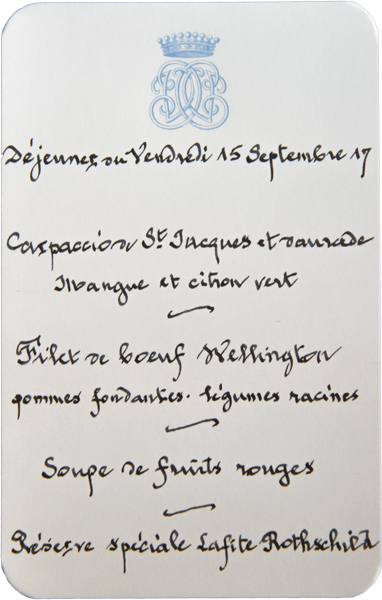 Menus are inspired by Hubert de Vinols private collection of hand-written menus created for famous hostesses and occasions of the post war era. Chefs are carefully selected for their ability to prepare the finest French inspired cuisine as well as a wide range of dishes to suit the host or hostess. 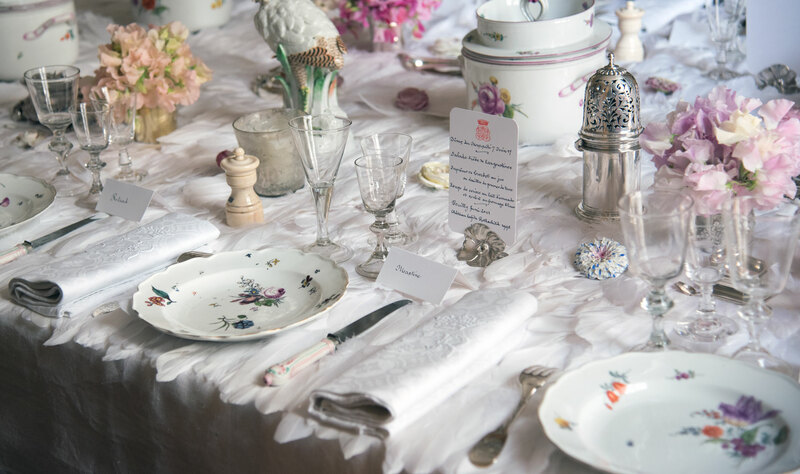 The Vinols family collection of fine china and tableware is at the heart of Tables d’exception. 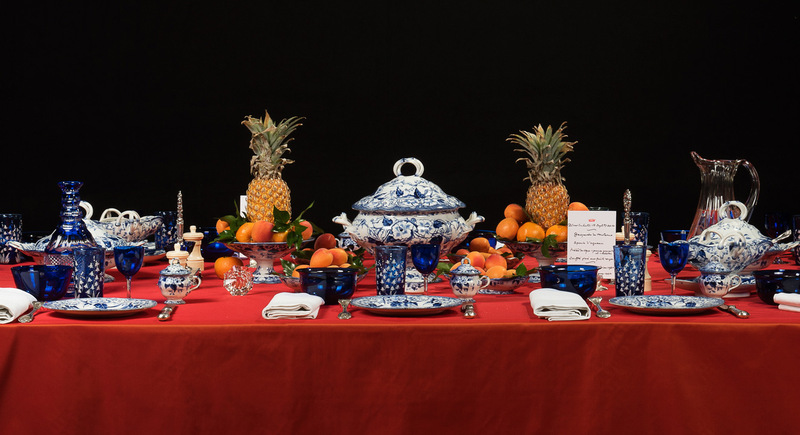 Faience, porcelain, Sevres, Chantilly, Locre all combine with crystal by Baccarat, Daum and Saint-Louis, rare table ornaments and exceptionally fine silver. Vinols turns a table setting into a work of art, one which fuels the imagination and transports hosts and guests alike back to a time of the height of elegance and refinement. We offer an atmosphere of refinement with an emphasis on culinary excellence. 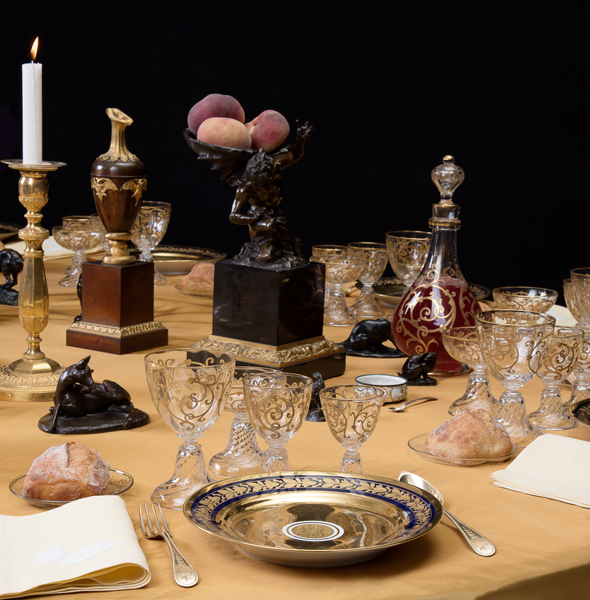 Is a breathtaking table not the first step to a successful dinner party ? 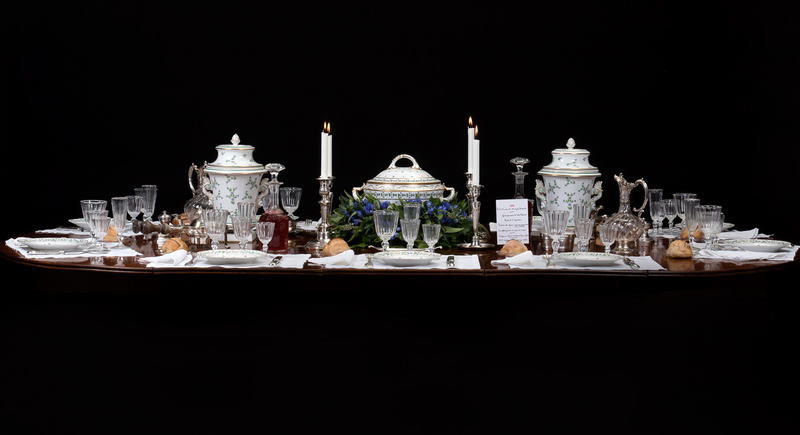 Our collection includes china and porcelain by Creil et Montereau, Sarreguemines, Sèvres, Chantilly, Locré, Crystal from Baccarat, Saint-Louis, Daum; 18th century glassware; damask linens, classic silverware, silver torches and many more fine and historically important table ornaments. UNESCO included French gastronomy as an “intangible cultural heritage” because of its richness, complexity and subtle details that go beyond a simple recipe. French gastronomy encompasses the service, the food and wine pairings. 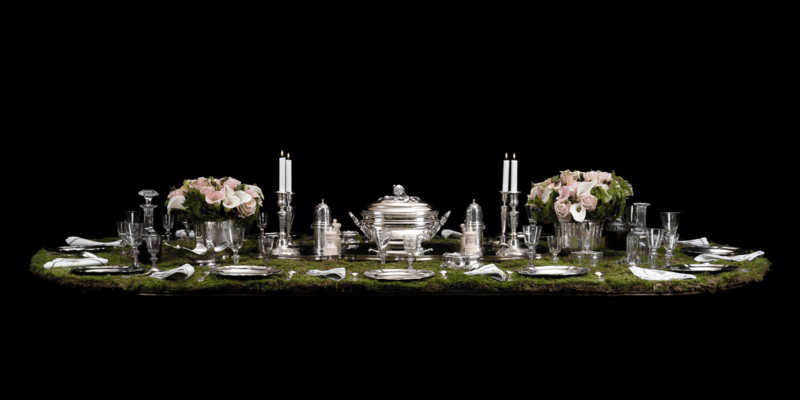 This is then framed by an elegant and stunning table setting of the finest crystal, linens, china and silverware to create a truly memorable luncheon or dinner party. From the recipes inherited from the Prince de Talleyrand to the Marquis de Polignac or even Balzac, to the famous Brillat-Savarin’s own recipes, we do not simply recreate recipes and traditional dishes, we also re-interpret and glorify them. Our chefs carefully select local produce with careful attention to quality and freshness. The result is a delicate symphony of flavours and traditional dishes: Beef “Wellington”, Seabass “Belle-Epoque”, Lobster with sea urchin sauce, caramel soufflé and many more recipes all made famous by the renowned French chef, Auguste Escoffier. No gimmicks are required because the simplicity of the ingredients coupled with the refined presentation speaks for itself. 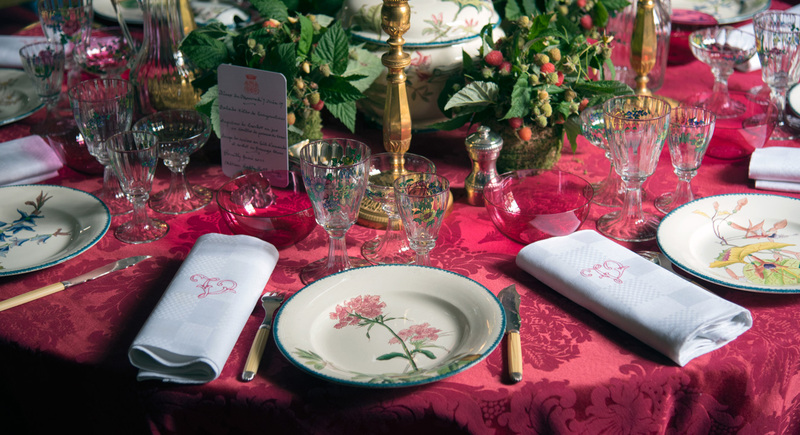 Throughout the luncheon or dinner party, guests are immersed in an atmosphere of refinement and glamour. Upon arrival they are served fine Champagne with our home made zakouskis. When luncheon or dinner is announced, guests enter a sumptuous dining room and are seated around a beautifully dressed table. Each stunning setting has a hand-written place card and strategically positioned hand-written menus stand upright in silver holders around the table. Butlers and staff wait discretely, ready to serve each course in the traditional manner, at the guest’s left side. After-dinner drinks, delicatessens and coffee are served afterwards in the drawing room. The mission of Tables d’exception is to take you on a journey back in time to an era when refined entertaining was in its heyday.